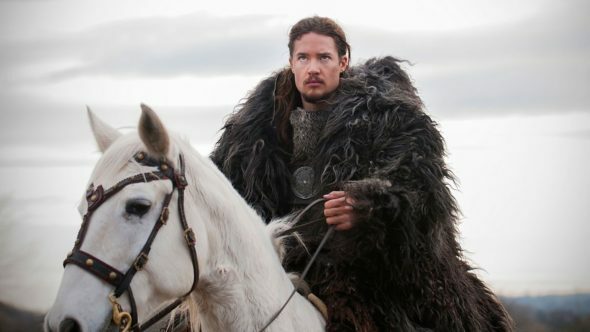 Although The Last Kingdom TV show was not cancelled by BBC America, viewers on this side of the pond won’t be able to watch the fictional British historical drama on that cable network. After the first season of the BBC Two series, Netflix boarded as a co-producer, so The Last Kingdom, season two, will be stream on Netflix in the U.S., Australia, New Zealand, Canada, Germany, Japan, Spain and Portugal. Based on Bernard Cornwell’s book series, The Saxon Stories, season two of The Last Kingdom drops to Netflix on Friday, May 5, 2017. The large cast includes: Alexander Dreymon, Tobias Santelmann, Emily Cox, Thomas W. Gabrielsson, Joseph Millson, Matthew MacFadyen, Ian Hart, David Dawson, Simon Kunz, Harry McEntire, Amy Wren, Thure Lindhartdt, Eva Birthistle, Gerard Kearns, David Schofield, Peri Baumeister, Eliza Butterworth, Peter McDonald, Mark Rowley, Alexandre Willaume, Julia Bache-Wiig, Björn Bengtsson, Cavan Clerkin, Toby Regbo, Millie Brady, and James Northcote. What do you think? Did you watch the first season of The Last Kingdom on BBC America? If you don’t already, will you subscribe to Netflix to watch the second season of this TV series? Let us know, below. More about: BBC America TV shows: canceled or renewed?, BBC Two TV shows: canceled or renewed?, Netflix TV shows: canceled or renewed?, The Last Kingdom, The Last Kingdom: canceled or renewed? The Last Kingdom on Netflix: Cancelled or Renewed for Season Four? The Last Kingdom: Cancelled or Renewed for Season Three on Netflix? The Last Kingdom: Season Three; Has the Netflix Series Been Renewed? just another ripoff of fans of good tv series by the greedy networks…we pay a fortune for cable or satellite and now they want us to pay for streaming too…ridiculous!